Applicable in private premises, training areas, rehabilitation or medical zones. May be used as an instrument in self-control development programs. May be used as a power generator in the case when an exhausting psycho-energy effort is demanded to solve some particular problem, in this case to be used through the direct contemplation. As a psychotronic generator assists to arrange the workspace in a way to properly communicate with people (partners, customers, etc. 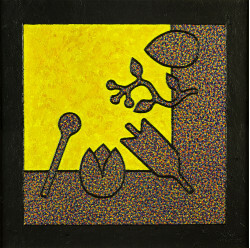 ), smoothes an emotional background. 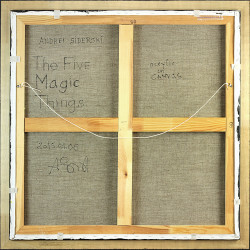 Andrei Siderski has created several works in the theme "The Five Magic Things" and all of them are unique in the details of his technique.